Here are two size classes of Pteronarcys nymphs. These probably represent two different generations. The largest will probably emerge next spring and the other in two years. There is probably another generation, smaller, I did not collect. In a Canadian study they discovered Pteronarcys eggs do not all hatch simultaneously but hatch for a period of nearly two years, making their egg/nymphal life 5 years. The other photo is of a curled nymph, a typical response to disturbance. 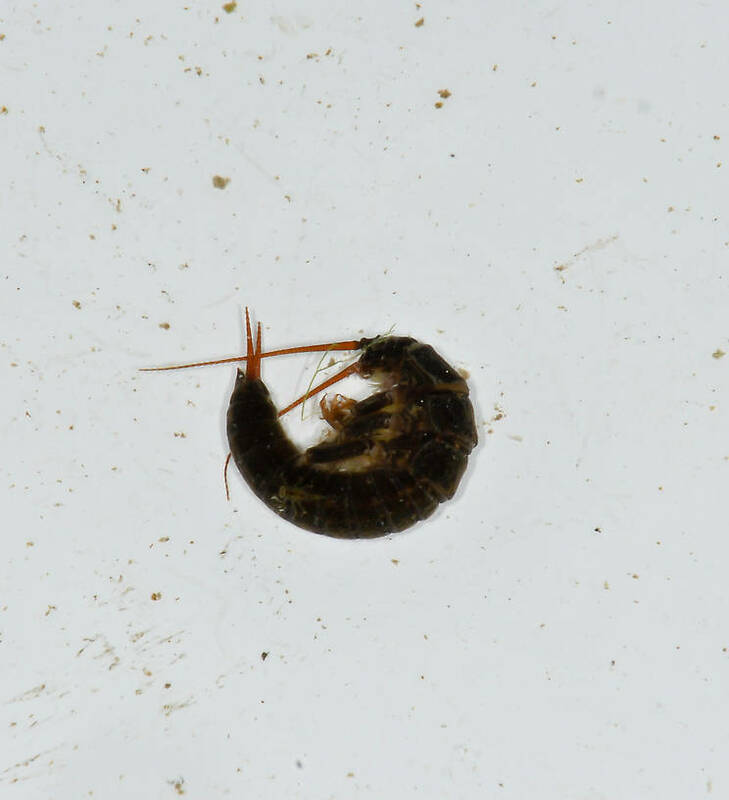 This stonefly was collected from the Touchet River on August 10th, 2011 and added to Troutnut.com on August 10th, 2011. 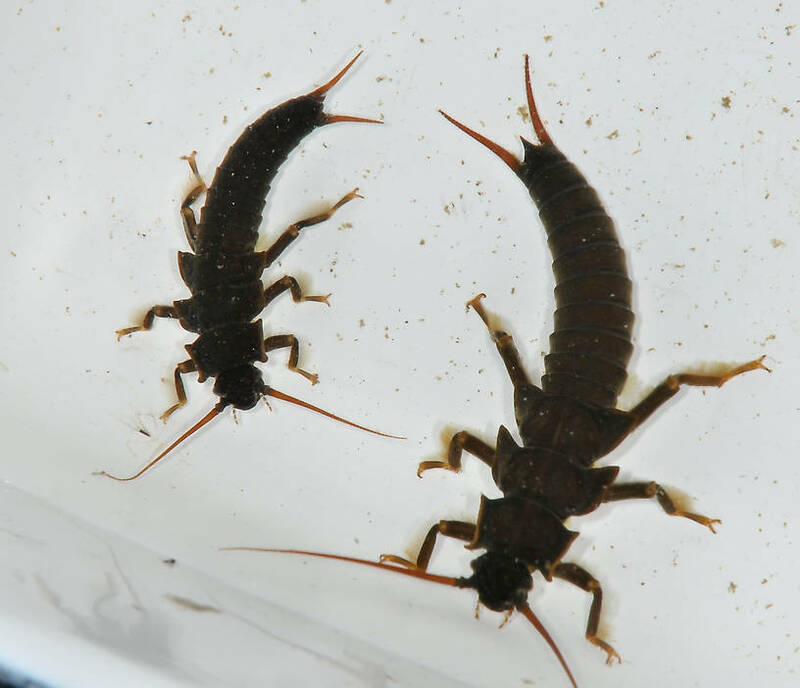 Friday, the PC stoneflies were hatching and flying midway up the river in the quality stretch of the South Fork of the Boise Rive (Idaho.) The fish seemed to be gorged with nymphs and only wanted the big nymphs fished in the current. We used large black Brooks flies with rubber hackle. They ignored most of the adult flies that fell to the surface. But the big bombers were lumbering over the water all day. Pretty exciting environment for fishing. At one point, I had two crawling on my neck while I was trying to work my drift into a large fish's feeding lane. Life is good.